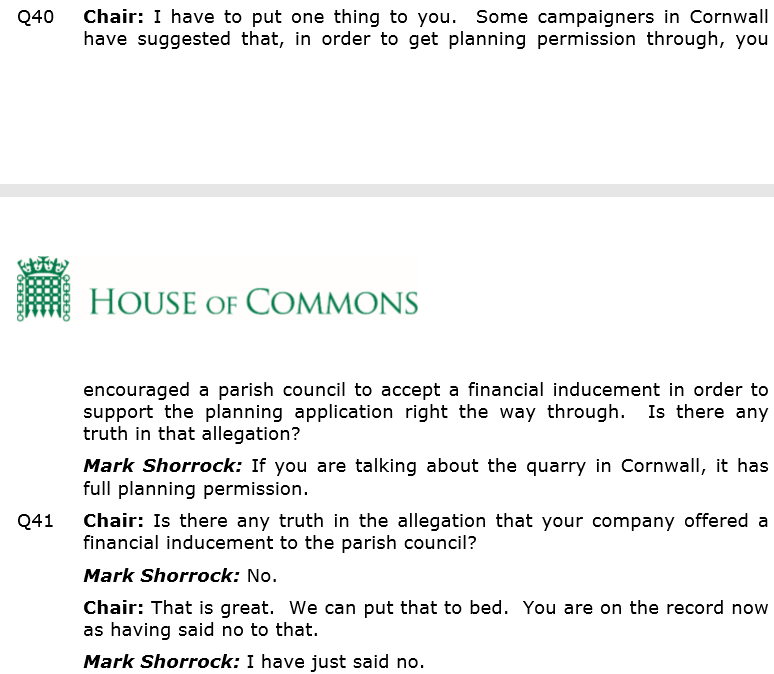 Did Mark Shorrock Mislead Select Committee? There is an interesting side story developing, with regards to Mark Shorrock’s testimony at the BEIS Select Committee last week. I watched this at the time, and although I was not aware of the substance of the allegations, I was struck by Shorrock’s somewhat theatrical look of shock, as he was challenged. Just to recap, Shorrock, CEO of Tidal Lagoon Power who want to build the Swansea Tidal Lagoon, was being asked about Dean Quarry, which he owns in Cornwall. It is worth watching the whole two minutes, but the relevant bit is at 1.30. I have also printed the transcript below.